Gemtero 1 gm Injection interferes with the growth of DNA and RNA of the cancer cells by substituting their building blocks. It prevents the cancer cells from growing and multiplying. 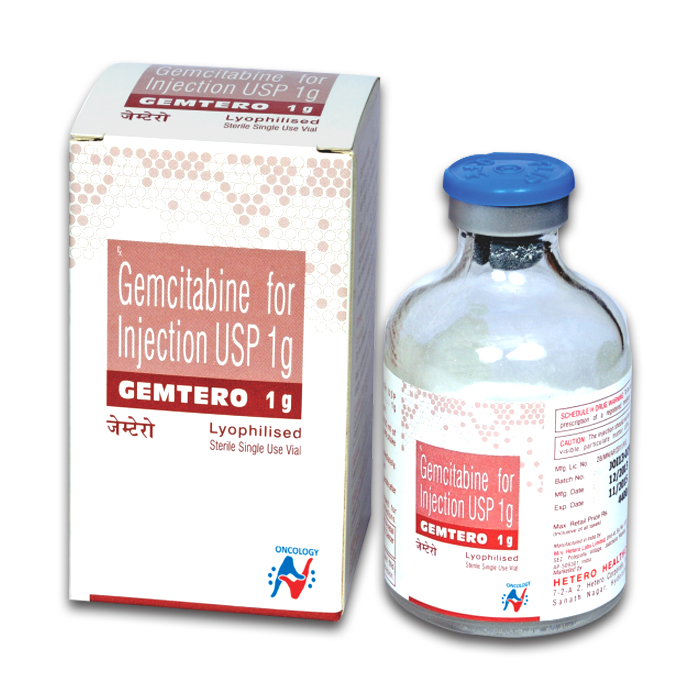 Gemtero 1 gm Injection is used in the treatment of non-small cell lung cancer, breast cancer, pancreatic cancer, urinary bladder cancer and ovarian cancer.